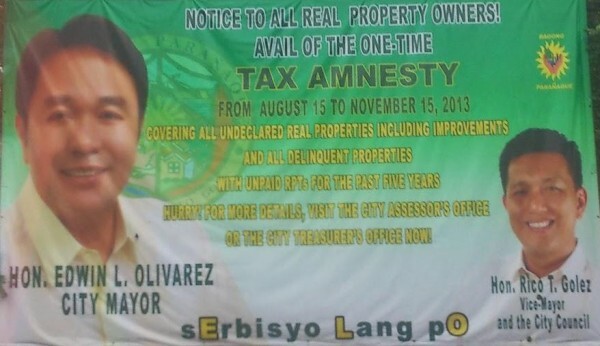 Delinquent real property owners in Paranaque City have until November 15, 2013 to avail of a one-time real property tax amnesty. 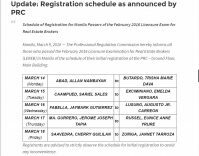 This is good news as it means there won’t be any public auctions for tax delinquent properties in Paranaque anytime soon. 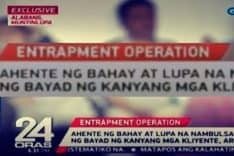 The tax amnesty was granted through Paranaque City Ordinance No. 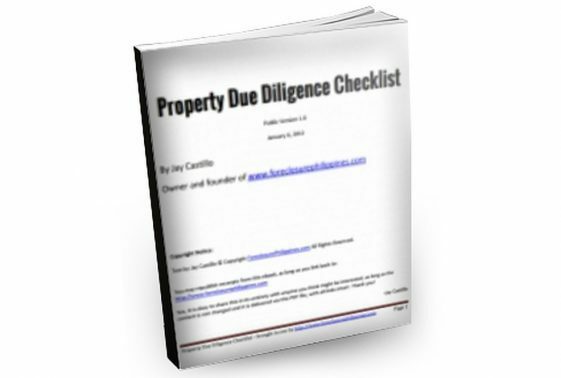 13-08, Series of 2013, which covers all undeclared real properties (including improvements) and all delinquent real properties. 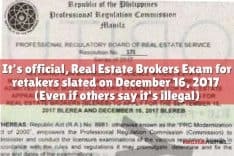 However, properties with pending court cases are excluded. More details below. The one-time tax amnesty shall be from August 15, 2013 to November 15, 2013. 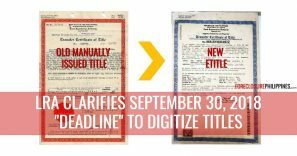 “The amnesty covers all real properties and improvements that have not been declared for assessment purposes and are thus not included in the city’s assessment rolls, as well as real properties whose real property taxes have not been paid for the last five years. It stipulated that real properties which will be declared for the first time during the amnesty period shall be assessed for the period during which it should be liable, but the assessment period of ten years prior to initial assessment is reduced to five years, effectively granting a 50% discount on the tax due and without penalties and surcharges. Real properties that have been issued notices of change in classification from residential to either commercial or industrial by the City Assessor from 2008 to the present and whose taxes have not been paid are also granted exemption from the payment of surcharges and penalties if the owners avail of the amnesty to settle their obligations. 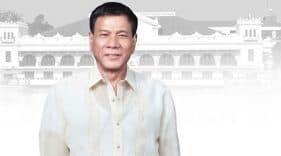 Owners of declared real property who failed to pay their real property taxes for the last five years are likewise exempted from the payment of penalties and surcharges provided that their delinquencies are settled during the amnesty period. 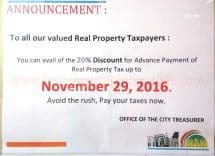 Paranaque City Mayor Edwin L. Olivarez has urged all delinquent real property owners to take advantage of this one-time tax amnesty. 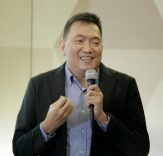 This will be the first and last tax amnesty under his administration, Mayor Olivarez said in the article posted on their website.